Who needs All My Children?? I get to be the center of a much sleazier reality show as mom of the Planet Teenage Girl citizen who apparently fell out of bed and hit herself on the head with a sledgehammer…. or whatever is necessary to make a person capable of INSANE behavior. Ahem… After yesterday’s edge-of-your-seat episode with the Planet Teenage Boy citizen and the Old Guy with the road rage problem to mask the Equality Of Immaturity Demonstrated Across Generations problem, I thought perhaps, I might have earned a milder day as a mom juggling the ricocheting Planet Teenager inhabitants. I think God laughed. Instead, things get more epic by the minute, as I am electronically informed that my PTG citizen received an office referral for “Profanity with hand signs” and no, this did not involve any standard form of manual obscenity, but rather the creativity channeled by a child who has a Deaf mom and therefore has taken it upon herself to invent some new, previously unheard of sign language (being the expert with the Deaf mom and all) to express vulgar-ness towards her friend she was mad at. I was requested to write some “Parental Comments” on the detention form. Best I can come up with so far is “Epic Fail,” although I’m not sure if that pertains to my parenting ability or my Planet Teenage Girl citizen’s ability to attain civilization. Her Life Is Over, by the way. She protested, “But, I still have a life, right?” (big hopeful puppy dog eyes.) I informed her that I Have Canceled Her Life, as she surrendered her rights to said life when she crossed the boundaries to insanity and behaved in a manner unbecoming of someone whom I Physically Gave Birth To. Planet Teenage Boy citizen jumped in with a well-timed comment about how he felt so “trusted” that I let him drive the car alone, without the hassle of having to bring me along….. oh, wait, he meant without having to hassle me with riding along in the car….. Anybody want some teenagers cheap? Filed under Deaf stuff, Mom-ness and tagged All My Children, ASL, behavior, civilization, creativity, Deaf, Epic Fail, expression, family, having a life, insanity, kids, life, maturity, Mom-ness, parenting, PTG, school, sign language, soap opera, teenagers |	Comments Off on Who needs All My Children?? Creatively productive. There’s the holy grail. To express the fullness of my potential as a unique individual and somehow do it well enough and often enough to get paid for it. Which is more important? Caitlin Kelly blogs about this and points out some of the beloved irony of us creative types — she won a Canadian National Magazine Award for humor for an essay about her divorce. Humor and divorce really don’t seem to go together, but that’s probably what made it work. I will spare you all the make lemonade with the lemons of life metaphor (whoops, that didn’t work.) In Real Life we must be productive, but do we put the cart in front of the horse with our focus on quantity? I am fascinated by Austin Kleon’s advice not to wait around until you know yourself to make things. Just make things, which leads to knowing yourself and thus the well of human creativity. People tend to be amused by my eccentric creativity, but where is it’s value? That’s the big question. What makes a painting created by random slinging and splattering worth thousands of dollars, or not? 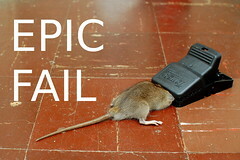 I’ve got some pretty amazing metaphors and word plays up my sleeve, but what makes it marketable? Austin Kleon’s work, Newspaper Blackout, is a smash hit, but does the monetary value lie in the use of markers on newspaper? Would people value the same poetry if it were just typed out on regular ole paper? People are funny like that. Some things are perceived as wickedly cool, while others are relegated to lame gimmicks. I happen to think Austin’s work is Wickedly Cool, by the way. Does anyone care about the monetary value of Mom-ness? Is my in-depth research on the citizens of Planet Teenage Boy and Planet Teenage Girl significantly marketable? I have lots of creativity, but creating productively is the heaven to which I aspire. Came from my hubby when we first got married. I had been a needleworker of various sorts for many years, but without anything more than the dime store cheap plastic frame that came with the kit to display my work. My wonderful hubby took my most recent and rather large needlework and had it professionally matted and framed. Is My Husband Awesome Or What?! He took something that obviously was valuable to me, or I wouldn’t have created it in the first place, and gave it honor and beauty. No amount of diamonds could ever replace that. Filed under Needlework, Perspectives, Post A Day 2011 and tagged creativity, gift, hubby, love, needlepoint, needlework, postaday2011, thoughtful |	Comments Off on The best gift ever…. This is where all your fancy claymation came from, people. Gumby started it all. If we didn’t have somebody making a zillion Gumby’s in each Slightly Different Pose to create motion, we wouldn’t have had 3D animation at all. 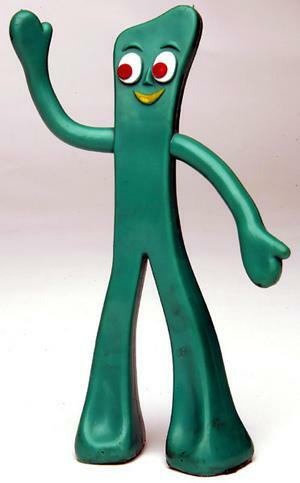 If I could have any fictional character come to life for a day, Gumby would be it. I don’t know if it’s allowed, but I’d like his pony pal Pokey too. What would we do? I know I’d love to do that walking into books thing, for sure. Stretching out and then flattening…. Hey, maybe Gumby started shape shifters too! All I know is Gumby is awesome but simple and doesn’t involve any Weapons Of Mass Destruction in his storyline. If only we could have such characters for today’s kids. I’m kinda scared to see what’s on Saturday morning cartoons. It sure ain’t Tweety Bird. Gumby is my buddy. I have him on my CD holder at my desk to remind me that We Can Be Anything we want to be…. I think I’ll take the stretched out taller-and-skinner thing. Filed under Mom-ness, Post A Day 2011, Stuff and tagged cartoons, Clay animation, creativity, Gumby, heroes, kids, life, Mom-ness, parenting, postaday2011 |	Comments Off on Gumby! Can’t think of anything very exciting, like the ability to tie cherry stems with my tongue. Now That Would Be Real Talent. Let’s see, Deaf karaoke singer? Nah… I’m extremely good at embarrassing teenagers, but I consider that a ninja skill, not a talent. I’m pretty good at making random weird things at 10pm the night before it’s due…. ahem, that would be the teenager thing again. I am very creative…. in spurts. That would be Unplanned, Unscheduled Spurts. I have no idea when it will hit, but it just does and I come up with some really creative idea or solution. I wish I could harness that talent, and use it to do my bidding. But, alas, it will not respond to my commands. If I was a teenager, I would roll my eyes about now…. More than anything, I am definitely Not Funny. I can’t even buy a Courtesy Laugh most of the time, and yet I amuse myself…. ahem, that would be the teenager thing too….